I was going to start off this post by linking to an excellent post by Charlie the Unicorn, but that post seems to have disappeared. It still exists on my google reader feed, which is the only reason why I knew this was going on at all, because I don’t have a Tumblr, and don’t care to make one. This is so touching. This guy seems like he was a pretty awesome dude. But… and is it just me… or do people say a lot about the LGBT people who were oppressed during the Holocaust but not a whole lot about the asexual and demisexual victims? I AM NOT SAYING IT’S NOT AWFUL WHAT HAPPENED TO GAY PEOPLE BACK THEN. I’m panromantic myself. I just… I know that people on the asexual spectrum were targeted too, and I wish we had more of a voice. This is seriously not okay. 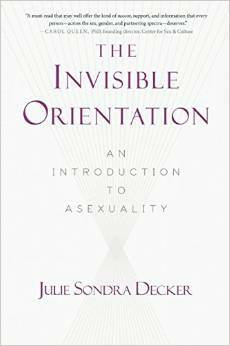 For one thing, asexuals weren’t targeted as asexuals the way that gay people were. And for another, this is not a horrific event in history that had anything to do with asexuals—of course people are not going to discuss us. No one was out as asexual in the forties! No one knew it we existed—even the Kinsey Reports hadn’t been done yet. And frankly, this particular incident in history would have been a time at which I would have been grateful to be invisible. I just. I have no words. This, here? This is not a place where it’s appropriate to bring up asexuality at all. Seriously, no. Not our history, not our suffering, not our place to speak up. This is a time to listen to other people’s histories. You can read the discussion of this here, and Sciatrix’s response to it here. As this got reblogged by more and more people, somehow that one offensive comment, which was refuted by other asexuals, became representative of the entire asexual community’s views, at least in the minds of people who hate asexuals. At the very least, of those who reblogged from Sciatrix’s comment, even if hers was the only comment by another asexual that they saw, they had to ignore her comment to do so. This is called confirmation bias. It’s when people selectively pay attention to only the things that confirm what they already believe—in this case, that asexual people are just trying to co-opt other people’s oppression. That several other asexuals have called this comment out themselves doesn’t matter, because that fact is being deliberately ignored. Or maybe not deliberately in all cases; it’s possible that the people reblogging this just didn’t read Sciatrix’s comment closely enough to notice that she used “we” and “our” to refer to asexuals, thus marking herself as asexual to anyone who didn’t know that already. Still, either way, they are ignoring the bulk of the evidence in favor of the one comment that supports what they’ve already decided is true. We should call out this behavior whenever we can, because hopefully if we can introduce enough cognitive dissonance, people will change their minds. That’s why when Jay announced his intention to stop talking in the comments to this post, I still replied, even though Jay hasn’t been back to the site since, so unless he turned on comments notifications, he didn’t see any of the replies to his comment. Hopefully some people like him did see it and were, if not convinced immediately, then at least made less sure of their position. The thing is, if a member of a group that is not a minority says something offensive, it’s attributed to that individual. People don’t assume that all other members of that group are the same. If a white person says something stupid and offensive about the Holocaust, it’s just that person being stupid and offensive. If a black person says something stupid and offensive about the Holocaust, then it’s seen as a bad reflection of all black people everywhere, and there will be people who say that all black people are stupid. All evidence to the contrary will be ignored. If you don’t want one gay person who says something awful to represent all gay people, don’t think that one asexual person who says something awful represents all asexual people, either.